We are in the process of limiting the variety of containers in which we will sell liquid honey. If you have a specific size or type of container in mind, please ask we may still have some in stock. Our most popular seller is the 1 pound Inverted "(Upside Down" bottle. The beauty of this bottle, is it stands on its cap! Which makes the honey always ready to dispense. Super convenient! Now priced at $8. Our baby bears are also available in quantities of less than 30. Only need a few for gifts? Great. We will sell you some. At Thanksgiving and Christmas we have these available with holidy messages on the front label, perfect for stocking stuffers, table placements, thank you gifts, and hostess gifts. Send us an email to request a "common custom" label. Are you looking for a slightly larger container? Maybe a quart (3#) or 5 pounds or a gallon or two? We will fill those containers on request. The price is better the larger the quantity! 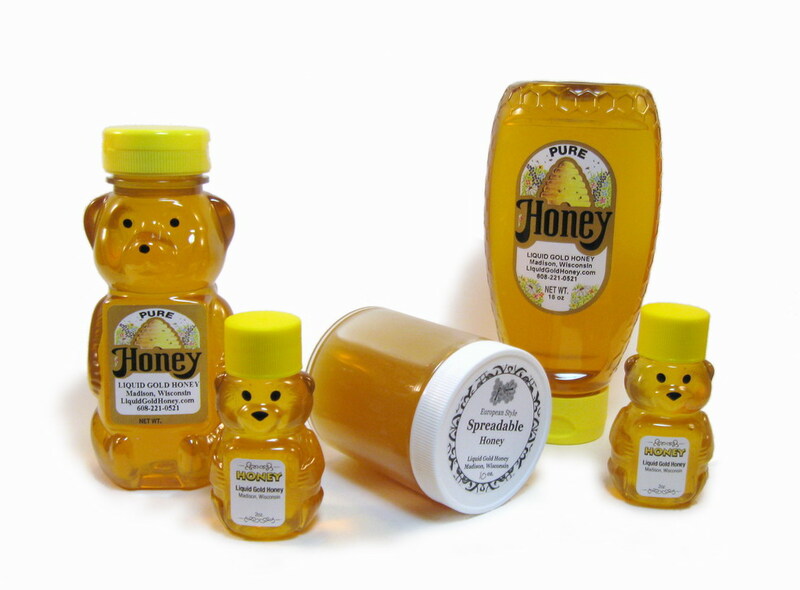 Coming soon -- Spreadable Honey! This is the most popular form of honey sold in Europe. We are working on regular spreadable and flavored spreadable honeys, including mixed in chopped nuts, cinnamon, and lemon!